Movie Review - 'Man of Steel - Snyder's Superman, Between Two Worlds Director Zack Snyder doubles down on the sci-fi DNA of America's definitive superhero, but his Man of Steel never quite becomes the inspirational saga some fans may have been expecting. Henry Cavill plays the title role in Zach Snyder's expensively earnest iteration of our most recognizably American superhero. An "alien" aesthetic — which ironically owes plenty to the Industrial Age and to the metallo-organic curves of art nouveau — informs everything from the film's palette to its interpretation of Superman's iconic costume. Take heart, ye spandex-haters: Zack Snyder's steroidal yet sensitive Man of Steel is not a superhero film. Full disclosure: Over the past two years, this reviewer has spent a great deal of time thinking about superheroes in general and Superman in particular. Less than some, perhaps, but more — it's safe to say — than most of you reading these words, as you debate whether or not to duck out of the heat this weekend to take in Snyder's latest summertime smash-em-up. Specifically, I wrote a cultural history of Superman that examines which elements of the character have remained constant over the course of his 75-year existence, and which have reflected the societal shifts taking place around him. In this context, I've read lots of comics and taken in over 700 hours of Superman's derring-doings on radio, television and film. And when I say Man of Steel is not a superhero film, I'm speaking here of a juggernaut of a genre that many critics have come to disdain as an invasive species, a Burmese python that's spent the past 20 years gobbling up indigenous fauna in the Everglades of contemporary cinema. It's a genre, ironically enough, that Superman himself created with 1978's Superman: The Movie, the first of many films to map Joseph Campbell's hero's journey onto a narrative infrastructure that borrowed the sweep of the epic Western, the snap of the screwball comedy and the property damage of the disaster film. This 35-year-old formula, with modest tweaks, has fueled the narrative engines of stinker (Green Lantern) and winner (The Avengers) alike, films in which we cheer the doughty hero and hiss the contemptible villain. To understand what sets Man of Steel well apart from previous efforts to deliver Superman to a mass audience, it's important to keep in mind that the Superman who has shown up in movies and on television to date is only nominally a figure of science fiction. The comics, given their limitless special-effects budget, can and do eagerly embrace the character's pulpy, sci-fi, giant-robot-space-alien-fightin' roots. But film and television properties like the '78 Superman, Lois & Clark and Smallville have tended to pivot away from his intergalactic provenance at the first opportunity, devoting themselves thereafter to more prosaic, earthbound pursuits — nabbing robbers, foiling crooked real-estate schemes and such. Sure, the whole "doomed planet Krypton" gets lip service early on in each of these iterations, but the Superman historically served up by film and television is largely a creature of warm, sun-dappled fantasy, not chilly, gunmetal-gray science. That ends here. Snyder's Man of Steel emphatically doubles down on the myriad science-fiction aspects that come hard-wired into the Superman myth. The result, perhaps inevitably, owes more to noisy, technophilic alien-invasion fare like Transformers and Battleship than to the lyric romanticism of Richard Donner's Superman films or Bryan Singer's 2006 Superman Returns. ... and the fallout from the long-ago space-opera insurrection that landed Krypton's General Zod (Michael Shannon, right, with Antje Traue) and his rebels in the Phantom Zone. That's not necessarily a bad thing — not if what you're looking for in a summer blockbuster is for blocks to get well and truly busted, as they do here with grim relish. Especially if you came out of Singer's sweetly melancholic but overly dutiful Superman film wishing the guy could have punched more things more often. And harder. Put it this way: Man of Steel is the kind of movie in which such bombastic cries as "SURRENDER THE CODEX!" and "RELEASE THE WORLD ENGINE!" occur with unabashed, metronomic regularity. But Snyder doesn't allow his actors, or his film, to luxuriate in the soap-operatic camp of such moments, preferring to keep things moving at a nimble trot. That might be the influence of producer Christopher Nolan and screenwriter David S. Goyer, whose Dark Knight trilogy similarly eschewed humor for spectacle. There are moments of lightness in Man of Steel, as when our hero attempts to take to the air for the first time (the ride is more than a little rocky) and times where the film seems to understand the essential hopefulness that makes up the character's core. "You can save [them]," Jor-El (Russell Crowe) assures Superman (Henry Cavill) at a key juncture; "you can save them all." Cavill is particularly good here, lending the compassionate moral center of Superman a wry specificity that keeps it from seeming bland. And Amy Adams' savvy, matter-of-fact Lois Lane is given more to do than many Loises before her. 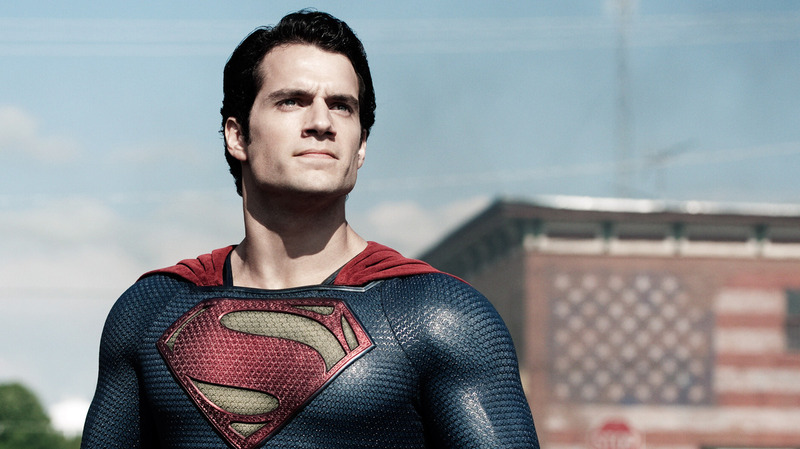 Like Superman Returns, Man of Steel does reach back to Donner's seminal 1978 film. But Superman Returns did so to cannibalize that picture's tone and design aesthetic, while Man of Steel simply borrows its driving conflict. The subtext of Superman: The Movie's climax found the Man of Steel choosing between his Kryptonian heritage and his adopted world. In Snyder and Goyer's hands, that subtext is made the explicit and oft-spoken text. 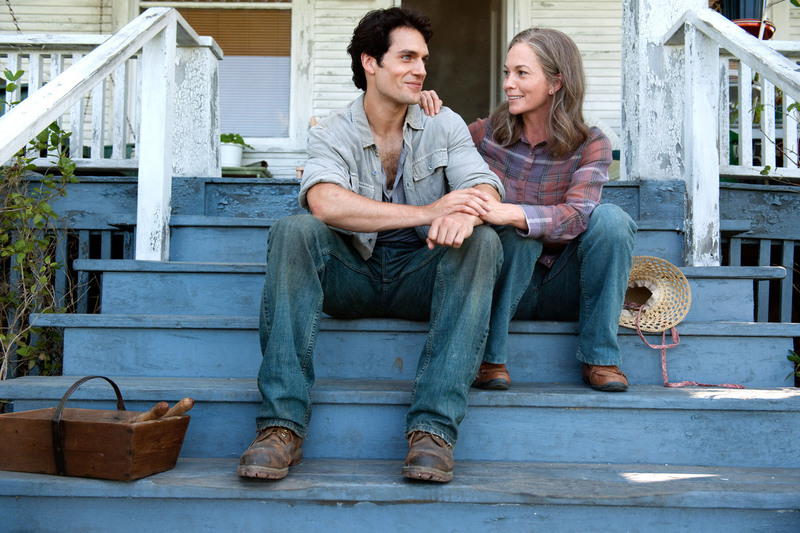 Man of Steel does locate and deliver on the abiding appeal of Superman: an unguarded, irony-free idealism, plus dazzling displays of power, wrapped up in the heartening notion that a man who could do anything he chooses to look out for us. What it fails to supply much of — surprisingly, it must be said — is fun. This is serious business, Snyder seems always to be saying. This is badass. And given the sheer logistical size of the spectacle on display, it's a position that's hard to argue with. The film ends with an epic, frenetically violent superhero battle of a scope often seen in the comics, but never heretofore on any screen. Figures soar through the air, crash into buildings, and fly away. Yet Snyder's camera doesn't follow them. Over and over again, he lingers on a damaged skyscraper to show it crumbling languidly into rubble and rebar, as screaming citizens flee in terror. This feels nothing like watching a man in a Godzilla suit trample a cardboard Tokyo, or seeing flying saucers vaporize an Epcot Village of tourist landmarks in Independence Day. It feels sour and cynical, like an attempt to elicit visceral reactions by siphoning emotive force from our communal memories of a very real horror. Yes, yes: We've seen New York get destroyed often since Sept. 11, most recently in The Avengers. But in that film, the violence ratchets steadily up to a literally fantastic climax involving giant mechanical space eels. Man of Steel's violence doesn't escalate; it simply, tediously, iterates. We keep waiting to thrill, to exult, to cheer our hero on. When the lights come up, we're still waiting.